Description A modern sofa with its design roots planted firmly in the 1960s that simply oozes character. 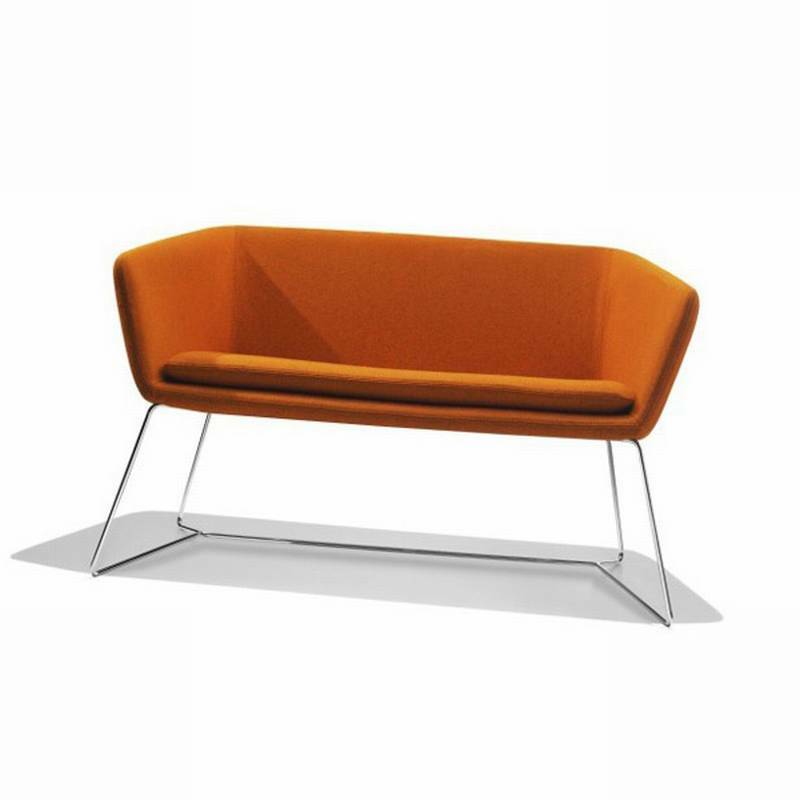 The stylish seat is welcoming and comfortable, padded with fire retardant polyurethane foam and upholstered in a choice of fabric and leather options (see corresponding samples below for full range of colours). Chromed steel tube base.